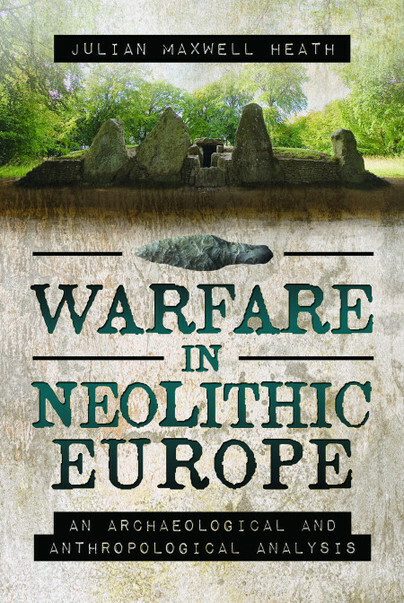 You'll be £19.99 closer to your next £10.00 credit when you purchase Warfare in Neolithic Europe. What's this? The Neolithic ('New Stone Age') marks the time when the prehistoric communities of Europe turned their backs on the hunter-gatherer lifestyle that they had followed for many thousands of years, and instead, became farmers. The significance of this switch from a lifestyle that had been based on the hunting and gathering of wild food resources, to one that involved the growing of crops and raising livestock, cannot be underestimated. Although it was a complex process that varied from place to place, there can be little doubt that it was during the Neolithic that the foundations for the incredibly complex modern societies in which we live today were laid. However, we would be wrong to think that the first farming communities of Europe were in tune with nature and each other, as there is a considerable (and growing) body of archaeological data that is indicative of episodes of warfare between these communities. This evidence should not be taken as proof that warfare was endemic across Neolithic Europe, but it does strongly suggest that it was more common than some scholars have proposed. Furthermore, the words of the seventeenth-century English philosopher, Thomas Hobbes, who famously described prehistoric life as 'nasty, brutish, and short', seem rather apt in light of some of the archaeological discoveries from the European Neolithic. This is a good synthesis of the most recent knowledge on the subject, embellished with some black and white photographs. Interesting, but not happy reading. Julian Heath was educated at Liverpool University where he studied Archaeology and Egyptology. He has since gone on to publish and illustrate several books such as Stories from Ancient Egypt (with Joyce Tyldesley), Life in Copper Age Britain, and Archaeological Hotspots Egypt: Unearthing the Past for Armchair Archaeologists. He has also worked on several archaeological excavations in both Europe and Egypt.